Showtime;s Penny Dreadful Season 3 premieres this upcoming Sunday, May 1, 2016. Here is the latest teaser trailer for Penny Dreadful. We get to see a lot of action in this new trailer, and now that we have concluded the back story in season 2, I hope we get propelled into more mythos and action in this next season. Are you all amped to see Penny Dreadful Season 3 and what did you think of this teaser trailer? Press Release: NEW YORK - February 25, 2016 - SHOWTIME has released the poster art and official trailer for the third season of its hit drama series PENNY DREADFUL, which premieres on Sunday, May 1 at 10 p.m. ET/PT on-air, on demand and over the internet. Starring Josh Hartnett, Timothy Dalton and Eva Green, PENNY DREADFUL is a frightening psychological thriller created, written and executive produced by three-time Oscar(R) nominee John Logan (Hugo, The Aviator, Gladiator). This season on PENNY DREADFUL, Tony(R) Award-winning star Patti LuPone (American Horror Story), who guest starred last season as the Cut-Wife, returns as a series regular in the new role of Dr. Seward, an American therapist who treats Vanessa (Eva Green) with an unconventional new approach. Wes Studi (Hell On Wheels) joins as a series regular as Kaetenay, an intense, enigmatic Native American with a deep connection to Ethan (Hartnett) who also becomes an ally to Sir Malcolm (Dalton). The third season also adds Robert Louis Stevenson"s Dr. Henry Jekyll (Shazad Latif). Other guest stars include Screen Actors Guild Award(R) nominee Christian Camargo (DEXTER(R), The Hurt Locker) as Dr. Alexander Sweet, a zoologist who strikes up an unlikely friendship with Vanessa; Sam Barnett (2012,Jupiter Ascending) as Dr. Seward"s mysterious young secretary; and Jessica Barden (The Outcast, Far from the Madding Crowd) as Justine, a young acolyte to Lily (Billie Piper) and Dorian Gray (Reeve Carney), and Perdita Weeks (THE TUDORS), as Catriona Hartdegan, a scholar with expert knowledge of the supernatural. Simon Russell Beale returns as Dr. Ferdinand Lyle and Sarah Greene as Hecate. Rory Kinnear (as The Creature) and Harry Treadaway (as Dr. Frankenstein) also star. PENNY DREADFUL is created, written and executive produced by John Logan for Desert Wolf Productions, along with Oscar winner Sam Mendes (American Beauty, Skyfall) and Pippa Harris (Revolutionary Road, Call The Midwife), both of Neal Street Productions and Karen Richards (THE BORGIAS). 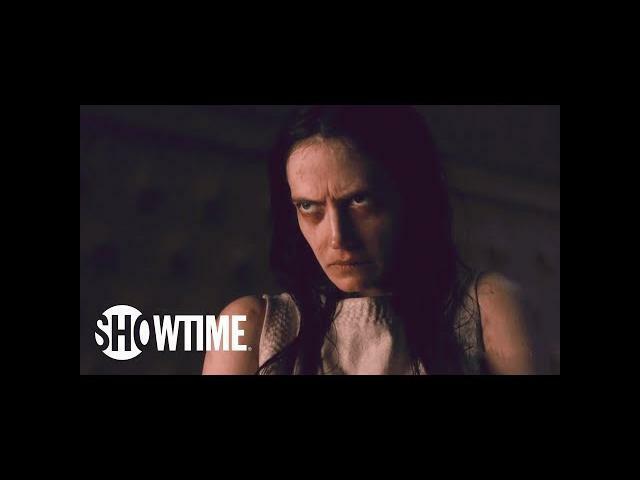 PENNY DREADFUL is a co-production with SHOWTIME and Sky. For more information about PENNY DREADFUL, go to: SHO.com, follow on Twitter, Instagram andFacebook, and join the conversation using #PennyDreadful. The music featured in the Penny Dreadful Season 3 teaser trailer is "You Don't Own me" by Masquer. Starring Eva Green, Josh Hartnett, and Timothy Dalton.